Home > Printable Coupons > New Meow Mix Coupons | Cat Food Starting at 36¢ ea. 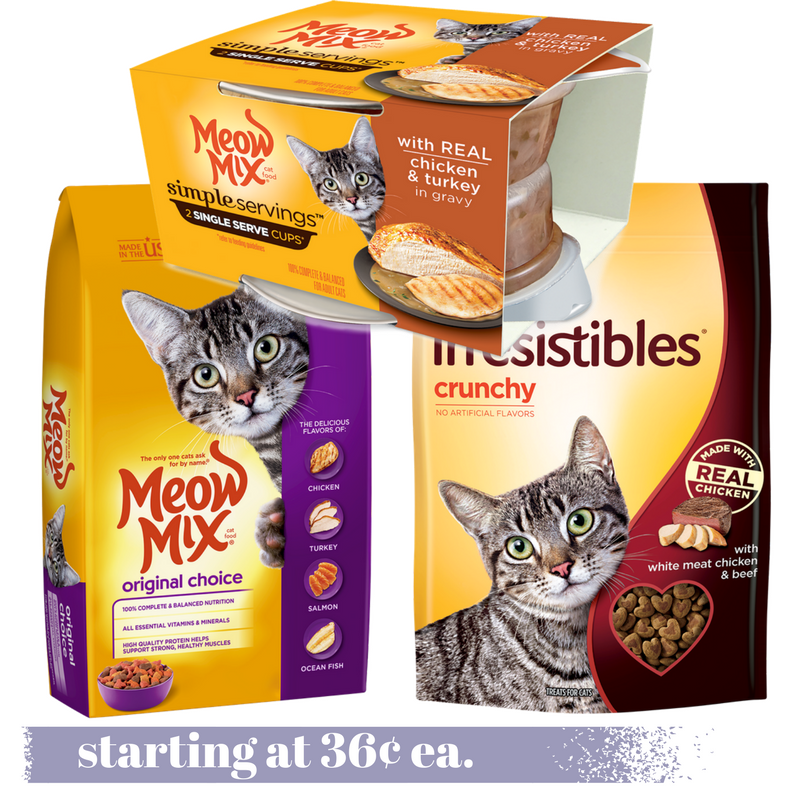 New Meow Mix Coupons | Cat Food Starting at 36¢ ea. Print the new Meow Mix coupons and head to Kroger, Target and Walmart for great deals on cat food and treats! You can grab wet cat food for 18¢ per serving, dry cat food for $1.70 and treats starting at 45¢. These are great coupons to grab if you a furry friend!